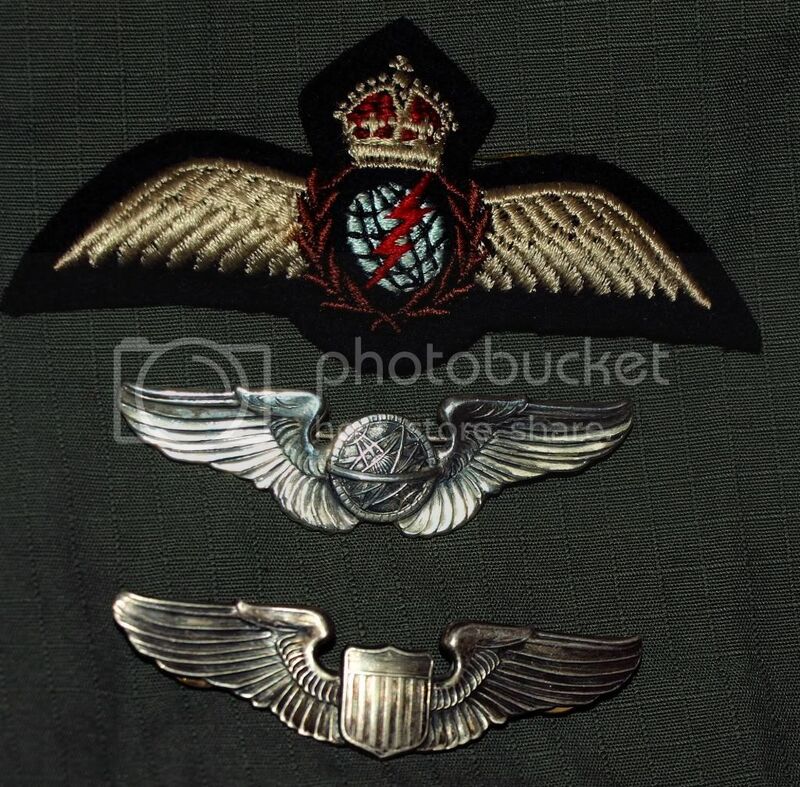 I went to a military show today and got a good deal on some pilot wings real cheap compared to fleabay like half off.Well I Know about the US Wings ones a Pilot the other a Navigators wings both 3 inch sterling WW2 era.Now the British one is what they call the puffy type I was thinking Navigator I have looked on the net I don't have a clue I thought you forum members can help ID it and tell be what year it was used.Here a shot and thanks for any help I know now it's not a watch but I thought you forum members would be smarter than me with some info. Well just found out what the wing is and what job the officer did that used it it was RCAF Electronic Officer Pre 1952 but after the war I guess from the crown on it you can tell who's the King or Queen is at the time it was made by the shape of it the crown on the patch is called the Kings Crown I leaned a lot with this patch. Again, thanks for posting this Mike. I'm always keen to see military badges etc posted as well as watches. I have quite a few myself and one day I'll photograph and post them.